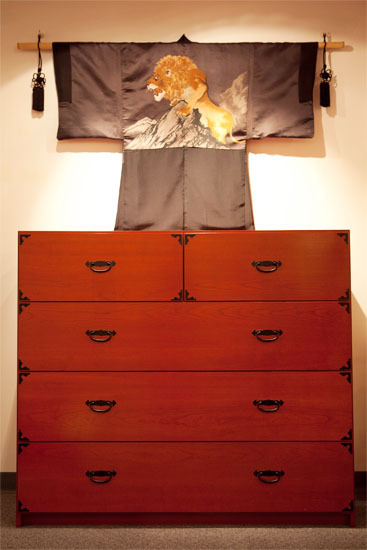 The word "tansu" in Japanese loosely denotes a cabinet of some sort to store various things such as clothing, kitchen ware, food, documents, swords and other personal items. 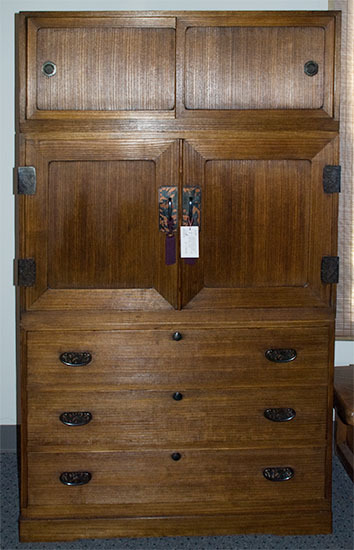 One main requirement of a tansu is its portability thus many larger tansu are made of several units put together. 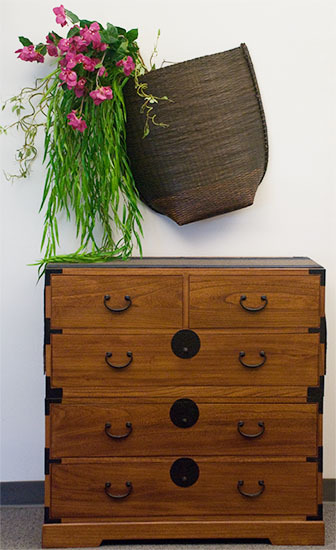 Antique tansu come in a wide range of sizes and woods and each one is usually designed for a specific purpose. 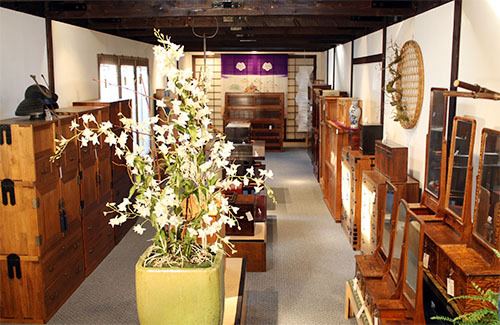 We dedicate one long hallway in our showroom to display our latest aquisition of antiques. 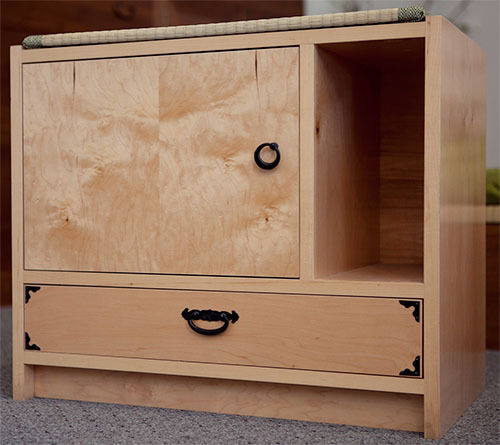 Since we build most of our new furniture, we are open to custom orders made to your specifications. 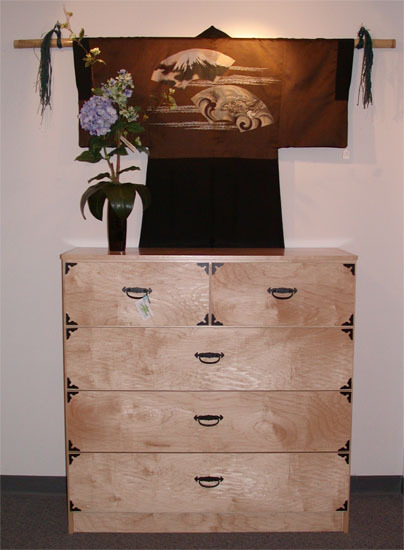 Customers can choose to decorate their new tansu cabinet from a wide array of authentic hardware from Japan. 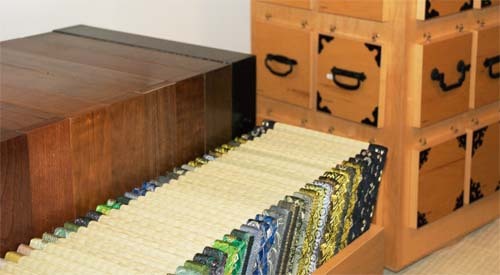 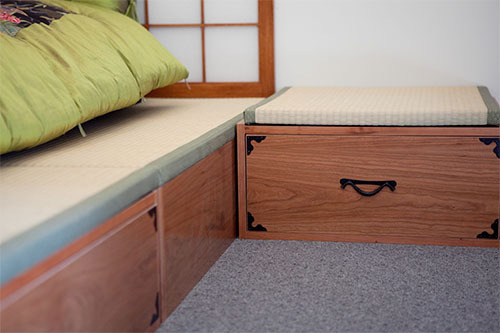 Tatami mats can be made to fit the top of your new tansu. 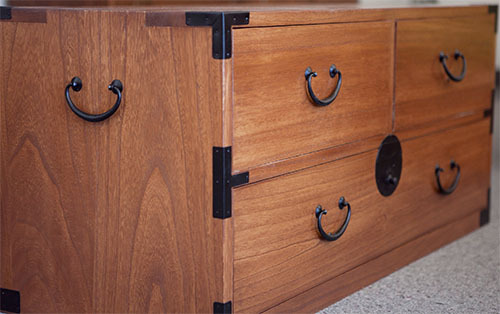 This adds a nice touch to all finished pieces.